Delicious brown petits pains made with malted wheat flakes, sesame seeds and the added goodness of bran and wheatgerm. Four delicious brown petits pains made with malted wheat flakes, chicory flour and sesame seeds. 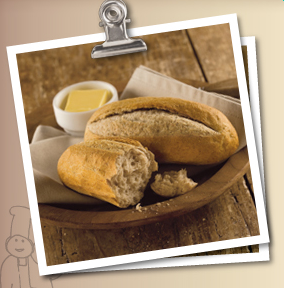 These petits pains also contain the added natural goodness of bran, wheatgerm and vegetable fibre.